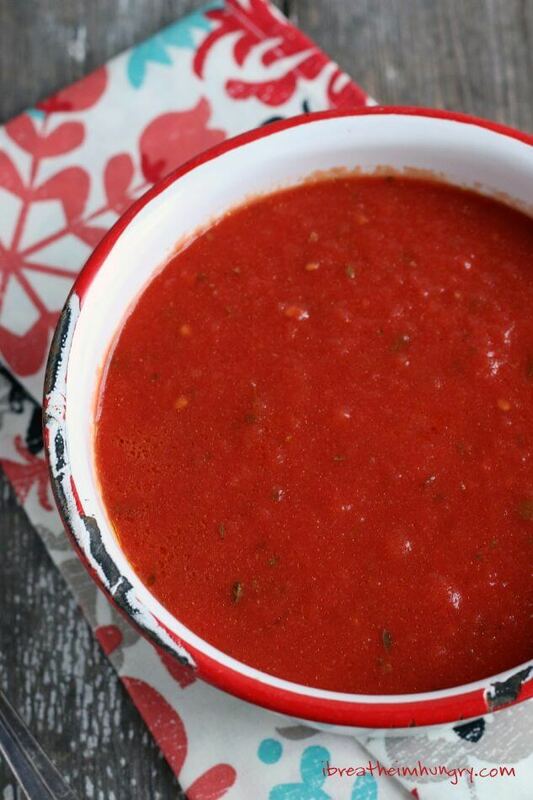 An easy no-cook low carb marinara sauce that is loaded with flavor, not sugar! It’s the perfect keto tomato sauce for Fathead Pizza, or to serve with zucchini noodles or spaghetti squash when you need a keto pasta fix! 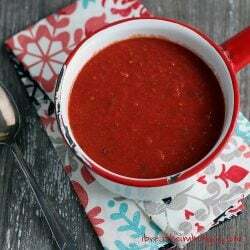 I’m posting this really easy low carb marinara sauce recipe because I’ll be including two recipes that call for keto marinara sauce in next week’s 7 Day Keto Meal Plan. I will also update old posts to include a link to this recipe. Why should you bother to make your own keto marina sauce?? Store bought jarred sauce is convenient, but almost always has added sugar and fillers. To get a good one that isn’t loaded with junk, it can cost as much $8 or more! My usual marinara sauce recipe contains a lot of onions and garlic, which can really bust your net carb budget for the day. 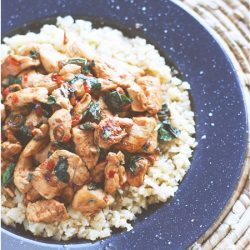 So I’m giving you this super easy, and much lower in carbs, “no chop” version that you can literally make in five minutes. Then freeze it in 1/2 cup portions for whenever you need it. Wanna know what’s crazy awesome about it? YOU WON’T EVEN NEED A POT TO MAKE IT. I kid you not, I never cook this sauce before using it! I heat it before eating it in a recipe, but I usually make it without simmering it at all. I find that the longer you cook a simple meatless sauce like this one, the more flavor you lose. I could literally drink this out of the container – that’s how flavorful it is! If you can’t find, or don’t want to pay for certified San Marzano tomatoes, then any no sugar added whole tomatoes will work in this keto marinara recipe – but the flavor won’t be as good. An easy low carb recipe for keto marinara or pizza sauce! Puree the tomatoes, olive oil, and 1/2 cup of the liquid from the can in a small blender or magic bullet. Tomatoes are a natural product and the flavor can vary. If you find your sauce isn’t naturally sweet enough, you can add 1 teaspoon of erythritol or another carb free sweetener of your choice if you aren’t on the Whole 30. Don’t omit the juice from the tomatoes during pureeing or you’ll end up with less sauce – and your concentration of carbs will be higher per serving. Despite all the great reviews, I need to throw my 2 cents in. FANTASTIC!!! Absolutely delicious and so versatile! Thank you! How do you make this with fresh tomatoes? Blanche tomatoes, it’s pretty much the same, except you might want to reduce them by simmering them a while to get rid of some of the excess water. I cannot get enough of this! It is delicious. How long would you recommend storing it in the fridge? Up to a week should be fine. I love this sauce although I amended the recipe a bit. Instead of powdered onion & garlic I use fresh. I also add a carrot and some celery. I sweat the fresh veggies first then blend them in with the tomatoes. Delicious. I freeze in single portions and serve over zucchini or spaghetti squash. Love it! Finally found a marinara sauce that has a rich tomato flavour. I added extra oregano garlic and basil. Delish! For those that don’t think it is thick enough, add a couple TBLS grated parm cheese (like Kraft) from the can. It works miracles. Could you make extra and freeze this? I was surprised at how tasty this sauce is, seemed to good to be true! I made skinny chicken parmesan with this sauce and it turned out amazing! Can’t wait to try it with homemade pizza! This sauce is the best! I was searching for an easy sauce not necessarily a Keto recipe. I have done this twice now. The first time was for turkey meatballs and the second time as sauce for pizza. The 1st time I didn’t have red wine vinegar and while it wasn’t bad without it was even better with it. Also, I love letting this simmer on the stovetop for as long as possible! Thanks for a great recipe! No matter how I try to log this into myfitnesspal, the carbs are awful high…Any idea why? Not sure but the sauce comes up to 40 plus carbs!!!! I LOVE this sauce, but what in high acres am I doing wrong? Once I made those changes my numbers came out the same as hers. I love this sauce! I make it all the time and love how good it tastes and how easy it is to make. I actually started buying crushed tomatoes and just whisk in the rest of the ingredients so I don’t have to use the immersion blender. 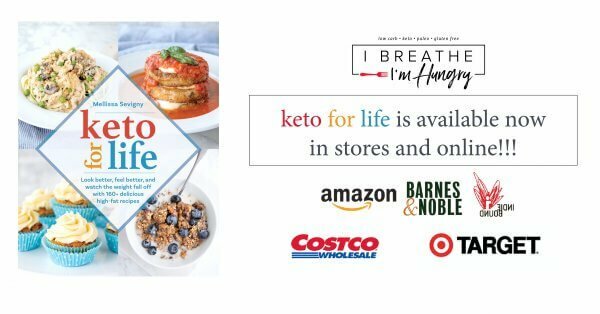 I used my NutriBullet to combine the EASY KETO MARINARA SAUCE – LOW CARB recipe. The only ingredient I did not have was the parsley so I ommited it. What a deliciously easy recipe. I used it for your Cheesy Spaghetti Squash Skillet – Keto & Low Carb recipe (another keeper) and it was fantastic! Thank you, thank you for this recipe. Wow! Just Wow!! I just started doing Keto. Some of the recipes I fail at. Not sure what I’m doing wrong. This was great and the whole family loved it. Thank you so much!! I just bought them at Stater Brothers. At my store, the San Mariano’s are not displayed with the other canned tomatoes and are a few feet down the aisle from the Hunts and Del Monte. Stater Brothers carries Cento brand in a yellow can. Unfortunately I didn’t care for this at all. It was bitter. 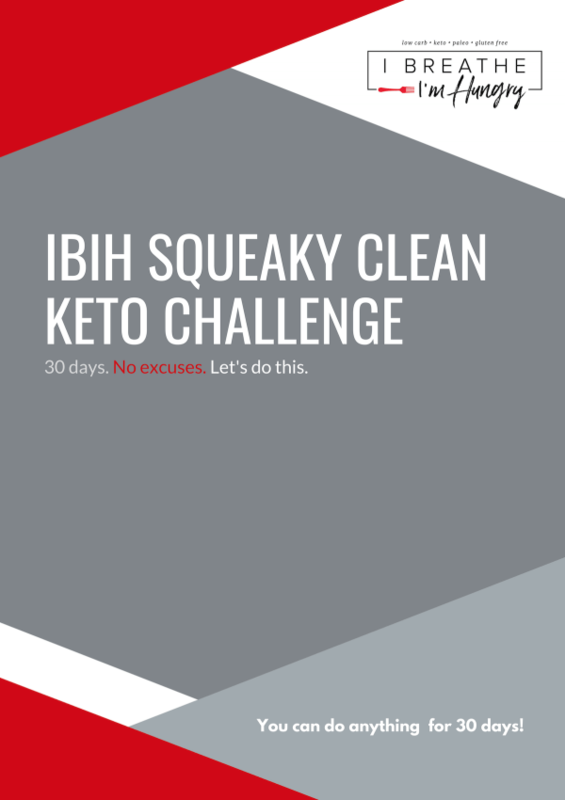 I started with the original recipe and adding extra this and that trying to help it, even included a few packs of stevia, but it just didn’t work for me. Nothing about this recipe should be bitter – it’s likely that either your olive oil is rancid and bitter on its own (easy to test) or the tomatoes you used were of poor quality and bitter to start with. No ingredients added can fix either of those problems. So…non-bitter red wine vinegar, is that your position? Perhaps something by way of a fruity, sweet. mellifluous vinegar? This was amazing!! Made it w/ your meatballs and loved loved loved it!! This sauce was fabulous! I used my favorite Muir Glen organic fire roasted tomatoes and it is so good that I could just eat it with a spoon. This will be my go to sauce from now on. Thanks for the recipe! Oh my goodness. I thought it was too simple to be that great, but I was in a hurry and made some. I too could drink this sauce. Delicious!!!! I just made your sauce and I used the specific tomatoes called for in the recipe. This is the best sauce! I increased my garlic and added a little sweetener just because I like my sauces a little on the sweet side. I can’t wait to put some on a low carb pizza crust I will be making later today!! Your recipe says it yields 4 cups but I portioned mine out into 1/2 c servings and I only got 3 cups. I used 1/2 c of the liquid from the can and followed the recipe exactly. Will this increase the net carbs per serving? I’m wondering if the tomatoes I got maybe weren’t packed full of tomatoes like the brand I see mentioned in the comments and maybe that’s why I didn’t get 4 cups when i made it. This sauce is fantastic! I used the rec tomatoes and the flavor is delicious. Thanks so much for posting this fast easy recipe! I used the sauce for chicken parmesan and thinking a zucchini lasagna is in my future 😉! I will never buy store bought sauce again. Simply delicious! I have never made my own marinara sauce. Ever. I’m going to be 50 next month. Ever. I am a lazy cook. I just tried this recipe & I can’t stop eating it (this may be a problem) It was sooooo easy & soooo good I will never buy jar sauce again. getting ready to harvest fresh tomatoes from my garden. how many average size tomatoes would you suggest? do I need to add water? alway have good results using your recipes. thanks so much for your contritubutions that are FREE to all of us!! really appreciate your website!! I’m interested in knowing how to use fresh roma tomatoes as well. Trying this out with zucchini noodles for the first time (Keto). Husband’s turn in the kitchen. He followed the recipe precisely, added 1 lb ground beef, and somehow we’ve ended up with less than 4 cups of meat sauce when the original marinara recipe yields 4 cups by itself! We are completely baffled. I had entered the recipe in my macro app expecting that, with the addition of meat to the sauce, the total yield to be around 6 cups. I cannot figure out how we ended up adding more and yielding less! We are going to add a little water and hope for the best. It smells amazing! Yeah. I only got a yield of 2 cups. 28oz cento san marzano. 1/2 cup liquid. Olive oil. So I just found your website last week. I have literally spent every day reading over your blog for the twelve week meal plans. 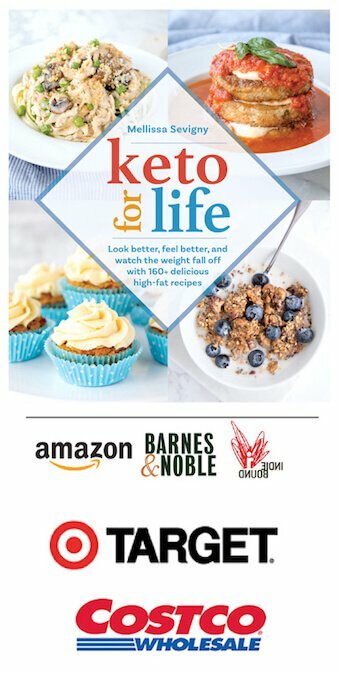 I haven’t had a chance to try and recipes yet, as I am still preparing myself mentally for the Keto journey, however I see that all of your recipes have rave reviews! I really just commented to say how much of a blessing you are to everyone. I haven’t ran across anyone that so willingly makes such awesome meal plans complete with recipes without charging one cent. This is so awesome of you and I just wanted to thank you in advance. 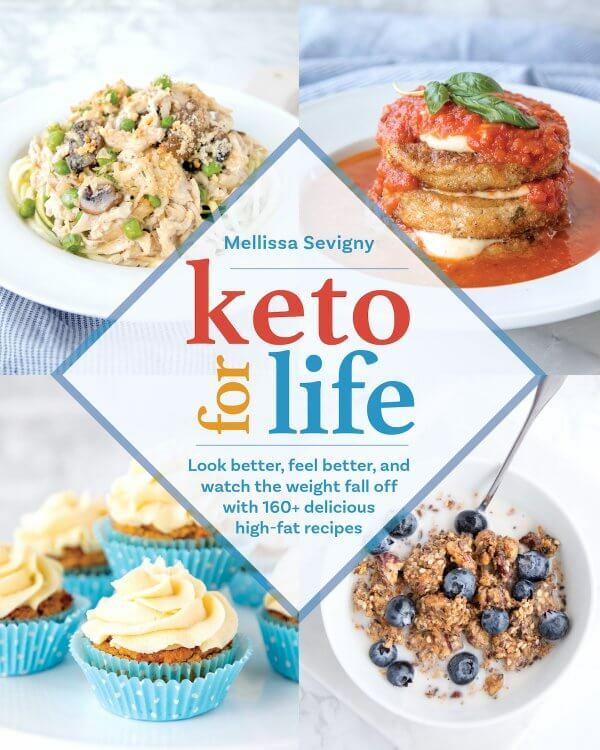 Thanks so much Melissa – you’ve got this! We love this recipe!! I was careful to read the can of tomatoes ingredients because my store did not have Cento brand. Sure enough, massive carb increase in some of the other brands because there is added sugar. I was relieved to find a brand with no added sugar and the recipe is fantastic. I simmer on the stove with organic chicken basil meatballs. It is a very versatile sauce and if reduced makes a great cauliflower pizza sauce. Thank you for sharing this recipe with us. I’ve been looking for a recipe like this. Going to try it tonight. One question though…All of the canned tomatoes that I can find up here in Canada have 2 to 6 grams of sugar, although sugar is not listed as an ingredient. Is this what you mean by “no added sugar” or should be looking for a product with 0 grams of sugar? As long as sugar isn’t listed in the ingredients then what you are seeing is just natural sugars found in tomatoes – that’s fine, it’s included in the carb totals! Anyway, I combined your sauce with the Lasagna Meatball recipe, and all I can say is, WOW! It came out soooo good. Love it! I’ve been doing the keto diet for a week or so now, and feel GREAT. Who would think you can eat foods like this, and be healthy? 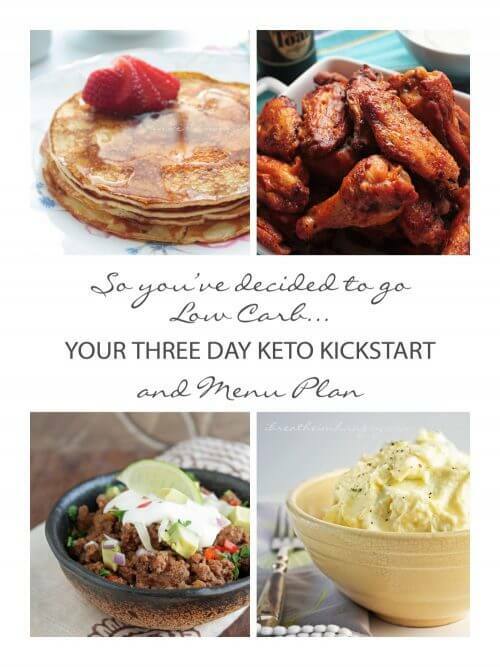 For me, eliminating the carb-loaded foods has been very easy, thanks to recipes like yours. THANK YOU! This sauce was just okay for me. My canned tomatoes had no sugar added and the net carb count was about 29, so there is no way this recipe is 3 net Carbs per serving, especially after adding in the carbs from all the spices :( I also agree with the comment about the vinegar- it was way too tangy. I had to add about a teaspoon of erythritol and a pinch of baking soda to counteract it. I didn’t see the comment about draining some of the juice, so it was really water-y. I had to reduce it over the stovetop. I appreciate the recipe and eventually it tasted good, but I am disappointed to learn the true carb counts. Not sure why your carbs were so high for a can of whole tomatoes – I use Cento brand San Marzano whole peeled tomatoes and it’s 3g per serving. There is far less than 1g additional carbs per serving from the herbs and spices, also it is increased in volume by the olive oil which adds no carbs. I’m confident in my numbers, but that’s based on the brand I used and I can’t speak to what the carb count is in the brand of your tomatoes. You are absolutely increasing the carbs per serving if you simmer it down to thicken it by the way. YUM! 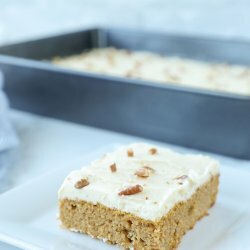 This has a great flavor and wonderful consistency for baking. Totally five stars, thank you!! How long would this keep in the fridge?? I’d obviously use it the day I make it but I don’t think I’d use that much! Up to a week in the fridge or you can freeze it for up to 6 months. i count carbs not net carbs. can you give me that number ? Net carbs is the total carbs, less the fiber content (in grams). If you wanted the “total” carb content, you would add the number of grams of fiber BACK into the “net” carb value. But remember, your body does not utilize the fiber as energy, therefore the “net” carb value is most important. 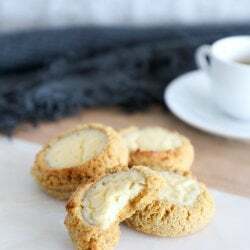 I have found so many delicious recipes from this site! Thank you! I got a fresh herb garden for Christmas & we are OVERRUN with Basil! I was hoping to make this with FRESH basil instead of dried, but am not sure how much I’d need. Any idea? Giving this a try tonight. Do you drain the tomatoes or include their juices? Thanks! I usually drain about half the juice out of the can! I followed the recipe which says to include “any liquid” from the can. Now I see (deep in comments) that you drain half the liquid. I’ve made several other recipes of yours, with great results, but am disappointed with this watery sauce that I’m unsure how to salvage. You can cook it down to thicken, but that may increase the carb count. If your sauce is very runny it’s possible that the brand of tomatoes you used contains more water than the Cento San Marzano that I used, which is packed full of tomatoes. I have updated the recipe to say 1/2 up of the liquid so that if there is more than that it will be discarded and not make for an overly watery sauce. Thanks for the feedback. I do not have a blender, just a food processor and a regular two blade hand held electric mixer. Would this work with either? I am trying to keep down the number of kitchen appliances that I have to have, as I have a small kitchen. Food processor would work Gayle! I rarely ever comment but i just made this and I found it delicious… way better than expected especially without real onions, garlic, peppers, mushrooms, etc… I followed the instructions with minimal detour. I did read the comments, so I added less EVOO, I think I did 3 tsp, and I added no red wine vinegar, I substituted with 2 tsp of white wine (all I had) and 1/2 cap of apple cider vinegar. I also added 1 tsp of braggs organic seasoning sprinkle and I pulsed it in my Dash Blender and no cooking and it was absolutely delicious!!!! i could have ate it just like that! I also saved the juice in the can- didn’t use it (people said it made it too runny) for another recipe where I need tomato juice. I am very pleased. Now I can make pizza with my cauliflower crust and my pizza stuffed mushrooms and spaghetti with zoodles. Thanks. Just found your blog and I’m glad I did! I live way out in the country and a trip to the store is about an hour for me. I want to try this Marinara sauce but don’t have the “exact” ingredients in the recipe. I was wondering if I could use the heirloom tomatoes I have growing in the garden and if I could use apple cider vinegar instead of the red wine vinegar. I am anxious to try it! This recipe is almost perfect, but I feel that it requires some thickening. While scouring the Internet for how to do this, the best way I found to thicken it without adding anything was just to let it simmer all day, like some loveable old Italian mama. I simmered mine first on medium heat to get it going, then as the sauce heated up I slowly brought it down to the lowest setting on my stove’s burner, being sure to keep the sauce still just bubbling. I simmered mine for about 9 hours, and it was worth it. The sauce reduced and the flavors really married, so please try this if you have the time and foresight. This is delicious!! I also wanted a pasta sauce so I added mushrooms and Italian Sausage. And thickened it with parmesan. Soo good!! Thank you for sharing this recipe. Made it and LOVE everything about it. Easy and so delicious! This recipe is a keeper! Where do you find no sugar peeled tomato? Almost all brands have no sugar added but there are a few that add sugar so just read the list of ingredients and make sure no sugar is added to your brand and you’re good to go. Hi, is there any substitute to red wine vinegar that can be used? Lemon juice also works well! Yes this comment is years after the fact. Yes, this sauce is THAT GOOD. This is a revelation. I’ve made it for pizza, for pasta for me family & (frozen) for my parents. I will never make another marinara sauce, carbs or no. THANK YOU for such an easy, delicious recipe. I loved this sauce! I did simmer it on the stove and it was perfect. I was worried that the vinegar would make the sauce too tangy, but not at all. While you are shopping for the San Marzano tomatoes at Costco (which are the best), get some mild Italian sausage. I cut it up, fried it into meatballs and added it to the sauce. 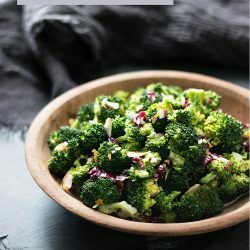 Keto friendly and amazing! I made this last night to use on parmesan chick and OMG.. amazing. This is definitely a delicious and cost effective replacement for tomato sauces. The only issue I had was when I added the oil it remained separated. However for my parmesan chicken recipe it called for ‘Rao’s Tomato sauce’ simmered in 1/4c olive oil for 20 mins – so I decided to simmer the marinara sauced as is. This thickened the sauce and helped everything combine a bit better. I always blend mine in the magic bullet and it emulsifies the oil perfectly – if you don’t want to cook it you can try that next time! Great! Fast, easy and delicious! Whats the serving size for this recipe? 1/2 cup? This sauce was superb. We made a batch for our low carb pizza and it was amazing. The following night my wife took the leftover and heated it on the stove with cream cheese to make a super tasty and low carb faux tomato bisque. Thank you so much. Two other people asked my question, but I never saw an answer. Do you use all the liquid in the tomato can or only the tomatoes? Thanks. Depends on how thick you want your sauce to be Gloria! Best sos marinara ever!!!! love it!!! I made this last night. It was amazing. Much better than store bought sauce! This sauce is awesome! Easy and awesome! Try it, you won’t be disappointed! Yikes, is 1/4 cup of EVOO right? I just poured it in and mixed and mixed and there’s still just a layer of unmixed EVOO. Anybody else get that result? I feel like I should have used less than half of that amount. Did I do something wrong? Hi. I’m looking for something that would take the place of ketchup in a chipolte ketchup by William Sonoma. Would this work? Cup for cup? I don’t think so – I do have a sugar free ketchup recipe in the condiment section of the recipes that would work though! Good recipe! I used neutchafel cream cheese (1/3rd less fat, only thing in the house), and it took a lot longer than 17 minutes for the crust to brown, maybe 25+ minutes. Otherwise, nice recipe. I also didn’t see anything about no carb marinara sauce, so i used Hunts spaghetti sauce which had 7 net carbs per serving, so there were a few carbs in mine. Had to eat pretty much with a fork, but it was good pizza! Thanks for the recipe. If you have a little time you can heat up the olive oil to hot then pour the blenderized tomatoes in hot oil to sear…then add the seasonings..you don’t want to burn the garlic powder. Or after the recipe is prepared put it under the broiler (or in very hot oven) for a few minutes. Does something nice to the tomatoes..I guess you’d call it caramelizing the natural sugars. Now, if that changes the keto effect I don’t know. you didn’t mention severing size for the 3 carbs. What equals the 3 carbs? The serving size is 1/2 cup! 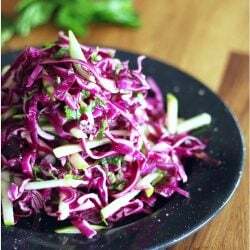 There are a few things that could cause this – rancid olive oil, poor quality tomatoes, or old rancid spices – specifically onion and garlic powder which can go bad after awhile. I made this last night, and just had it today with zucchini noodles. This is my first try with zucchini noodles, and frankly I was afraid I would end up spitting them out. They’re not bad, but this sauce made them taste better than any pasta I’ve ever had. I’m going to make up a big batch and freeze it up. Best sauce ever! Thanks Kathy! I still use this sauce all the time and love how easy it is to make!!! I made this yesterday. As others have wondered about; should you just blend the tomatoes without the can liquid or with the liquid? I decided to just use the tomatoes without the liquid (pulled them out with a fork) and it still came out rather runny for my liking. So, in order to thicken it up a little bit, I added a 6oz can of tomato paste and simmered it for about 10 mins. That seems to get it closer to the thickness that you’d get from the jar sauce. I’m also on the fence about the vinegar. I think it adds some “brightness” and, probably, is good from a discouraging bacteria perspective. However, if I hadn’t added the tomato paste, I think it would have been a touch too tangy for my liking. So, in the future, I think I’d cut the vinegar in half. Also, I only added half the oil. I think you could eliminate the oil and still have a delicious and, slightly, more healthier sauce. But, a couple of tablespoons shouldn’t be too big of a deal, plus it adds flavor. Wow, Melissa – I was skeptical about this recipe – powdered garlic and onions? No long simmering time? You weren’t kidding about being able to drink it out of the container. Delicious and flavourful and my new go-to marinara sauce! This sauce is outstanding! It whips up so fast and easy. Thank you so much for sharing this recipe! This sauce has definitely upped my pizza game! Very easy to make and I freeze it in ice cube trays. Each cube is approx. one ounce of sauce. You make this look easy Mellissa! And I know that it’s anything, but that. Thanks for sharing yourself, and your recipes, with us. We appreciate it very much! OMG! !..just found your website a few weeks ago. You have literally helped me change my way of eating overnite. I finally made this sauce and just like you said, I just want to drink it , it’s taste sooo good!! Lol. Thank you, thank you!! I also just made the meatballs and they taste amazing too!! OH MY WORD! Why have I waited soooo long to make this! I just made this for dinner tonight and the family is like: “Okay… pizza sauce for tomorrow!” “No, tomato soup.” “No! Wait! Pizza Soup!” I cannot believe how EASY it was to make! Beats canned sauce to smithereens! This is definitely a keeper and one that will be used over and over again! THANK YOU! THANK YOU! THANK YOU! Thank you for this recipe! I can’t wait to try it! One Q. though. Have you ever made it with the same size can of tomato puree? I’d like it better w/o the seeds. Can I use fresh tomatoes rather than canned? 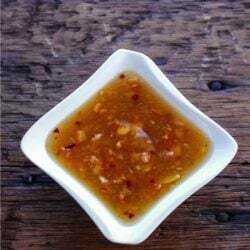 This sauce is wonderful and so easy! Added more pepper to give it a little kick, We ate it as a dip for pork rinds! Thanks! This recipe is FANTASTIC!!! I only changed a couple of things based on personal preference. I used a can of diced tomatoes and crushed with a potato masher to leave it chunkier and i added a couple Tbsp of tomato paste to give it a thicker consistency. 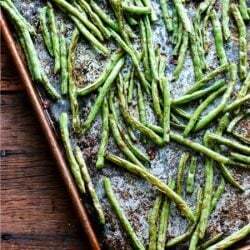 Thank you for this great recipe that is QUICK and EASY! I just stumbled across your blog a few days ago, and I have already several delicious things! I love how easy this marinara is. 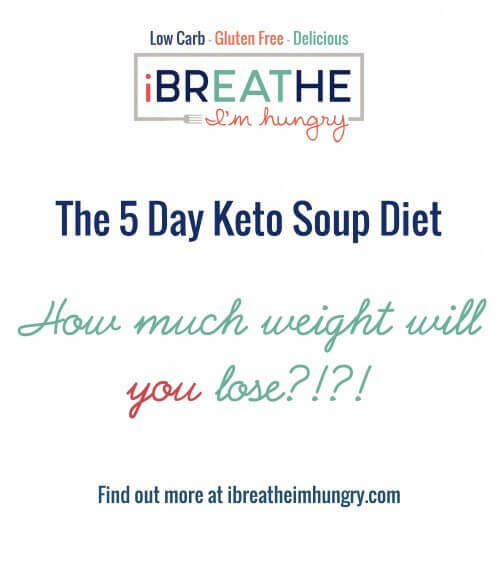 My question for you is, where are you getting your numbers for the carb count? I made this last night, and my batch turned out to be about 4 cups of sauce, so quite a bit more than what I thought I was going to get. (Not that I mind, I’ll just freeze the leftovers) And when I entered the recipe in my carb counter, it spit out a higher number per serving- 5 net carbs. Still not bad, and much lower than anything I could buy in the store. I used a 28 oz can of San Marzano tomatoes, just as the recipe recommended. Should I have drained off the juiced maybe? Either way, thanks for the delicious recipes! This sauce is going to be used in a tofu based baked ziti tonight, so I hope it turns out well! Did you enter it into a program that calculates it for you, or did you get the info for each ingredient and then add it up yourself? I do the latter because I don’t think the programs that do it for you are accurate. When in doubt they round up (or down), and they also use averages of different brands, some which contain sugar and higher carbs so that the number is incorrect. Some brands of tomato (even San Marzano) add sugar which can also bump up the carbs – so definitely read your labels to be on the safe side! And if you added up the nutrition info with the brands you have in the house, then definitely use your own number. Ty both. For asking the question and answering it. I imported your recipe into MFP and I ended up with a 9 carb count for a 1/2 cup portion. 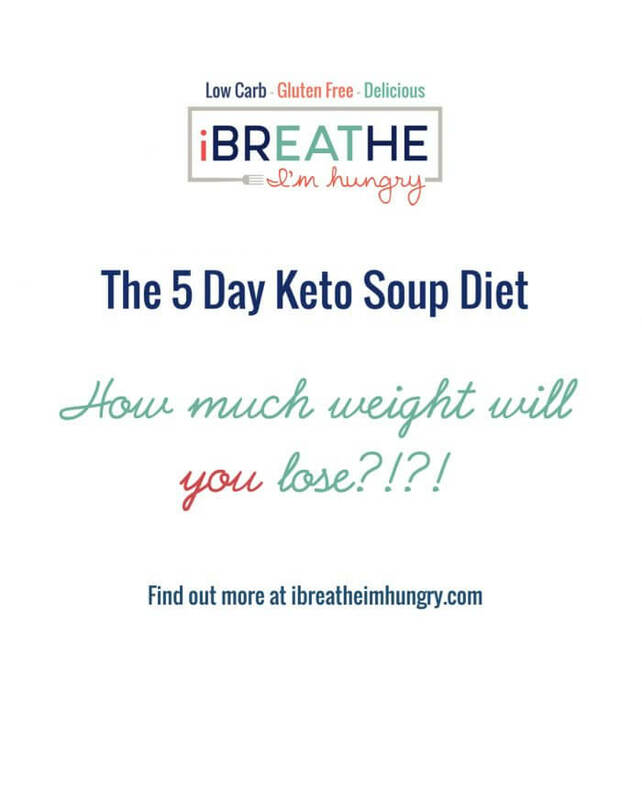 I’ve been following your blog since deciding to go Keto a few weeks ago….. LOVE your recipes!! Made 2 batches of meatballs yesterday…. I’m surprised I was able to actually refridgerate them for future servings, so good!! Thanks so much Katia! 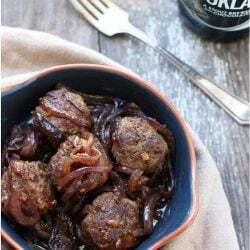 I love making huge batches of the meatballs and eating leftovers all week! I even freeze them sometimes! Glad you’re enjoying the recipes, and thanks again for taking the time to let me know! You’re so welcome Jessica! Glad you enjoyed it, there are so many uses for it and I love that it can be whipped up so quickly! Made this a few days ago and love it! Thanks for posting this! I just made it to use on my meatballs, and it took no time at all to prep! The sauce tastes pretty darn good, and I froze half of it for low carb pizza later. You’re so welcome Crissy! I know it’s not the same as someone’s Italian grandmother’s special Sunday sauce, but it’s great for keto and nice that it can be made so quickly! Glad you enjoyed it and thanks for letting me know! I’m definitely going to make this – perfect to freeze in individual sized portions. Thanks, Melissa! Mellissa, i love this! You’re so right: storebought sauces are filled with random things, and the good ones? pfffft: easier to make it (like you did) and way cheaper, also. You’re so right, and i’ll second your sentiment about using the San Marzanos as opposed to other canned tomatoes: makes a HUGE difference both texturally and in the flavor. I notice it in soups as well. If i can’t find the san marzanos, i sometimes like to use Muir Glen Organic’s tomatoes; they’re a pretty decent stand-in. A ‘no cook’ marinara sauce? You’re talking my language! Thank you!!! I’ll have to make this, and have the guy across the hall from me taste it. He’s Italian, and last month he and his girl invited me over for a spaghetti dinner. He literally makes his own sauce (I saw it on the stove, simmering, and sending this insanely beautiful aroma all over the place, while it simmered for hours). It was the best I’ve ever tasted. I’m betting this will give him a run for his money, since he also used San Marzano tomatoes :). He’ll give me the recipe, if I give him an authentic Mexican enchilada sauce ::sigh:: You wouldn’t happen to have one handy, would you? You rock! Thank you. Thank you. Have I thanked you yet? Well, just in case: Thank you. Muchas gracias. This looks great for all the tomatoes coming in now. You’re right that a lot of store marinaras contain sugar. We now only buy store brand pizza sauce and use it for marinara, when we don’t make it fresh, since our store brand does not contain sugar. You have to read labels, but it seems you can find a pizza sauce without sugar in it. This looks really authentic and good! How many onions are you using? An entire cup of chopped onion only contains 15g of total carbs. The majority of carbs are coming from the tomatoes…. I think.